On Saturday 18 February 2017 Samoa Hockey staged its first ever Malietoa Tanumafii II Inter Island Hockey Championship at Sapapalii Primary School at Sapapalii in Savaii. The tournament was between the Gold Medallists and Silver Medallists from Savaii and Upolu from the Samoa Games in 2016. Also included was the Juniors Champion from Savaii against the Juniors Champion from Upolu. 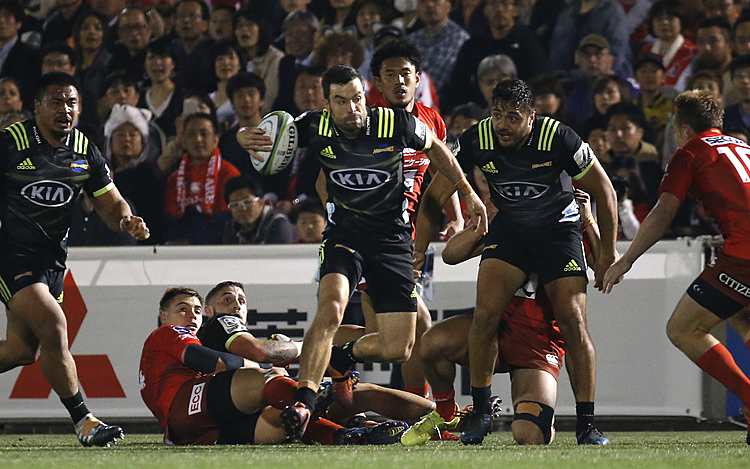 Mataaevave College (3) defeated Uesiliana College (0). The Lupe o le Soaga vs Vaipe ended up in a tie with one goal each and a “sudden death” for minutes was played and Lupe o le Soaga scored first within the 5 minutes and Lupe O le Saoga was declared the champion of this first round of the Malietoa Tanumafii II Inter Island Tournament for 2017. In the Juniors Malietoa Tanumafili II Inter Island Championship, Lupe o le Soaga (4) defeated Sapapalii Primary School (0). In June 2017 Upolu will be hosting the Malietoa Tanumafili II Inter Island Tournament and followed by the Samoa Games and Savaii will host this Championship. During this this tournament Samoa Hockey is pleased to announce the identification of 20 hockey players who will be included in the Samoa Hockey training squad for the Oceania and World Cup in Sydney Australia in October 2017. The national teams that will be participating in the Oceania and World Cup will be truly become the first national hockey team comprising of Savaii and Upolu hockey players. 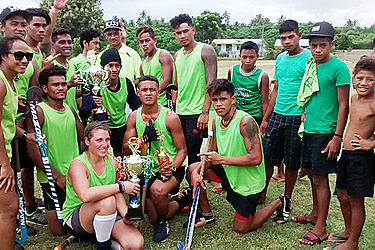 The Malietoa Tanumafili II InterIsland Championship is an annual competition for Samoa Hockey. Samoa Hockey acknowledges with sincere thanks for the support given by our sponsors, Samoa International Finance Authority (SIFA), Samoa Sports Lotto, Craig Construction, Betham Brothers Enterprises (BBE), Lucky Foodtown, Salafai Metal Industries (SMI), Samoa Stationery and Books (SSAB), Samoa Commercial Bank (SCB), Samoa Life Assurance Corporation (SLAC), Samoa Association of Sports and National Olympic Committee (SASNOC), The BaYS, Multipharm, Matniuel Screen Printing and Designs, Samoa Observer, TV3, Chan Mow & Company, Vaitele Spring Water and Le Well.